This teenage duo killed it. 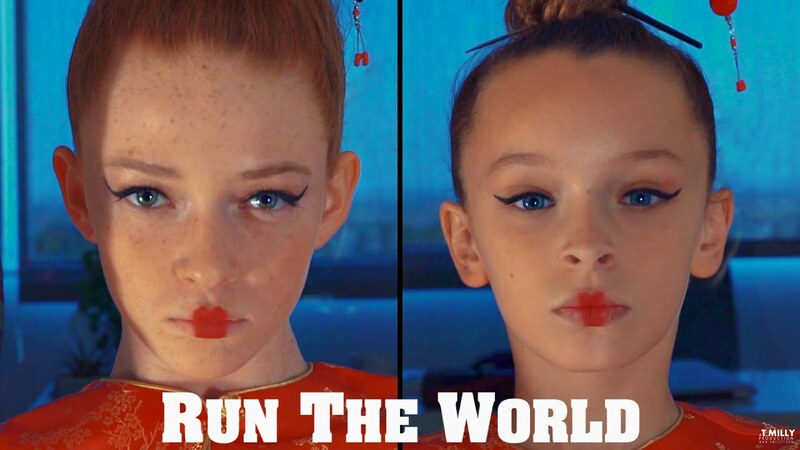 Teenage dancing duo Taylor Hatala and Larsen Thompson have given Beyoncé a run for her money with their dance routine to her hit song 'Run The World (Girls)'. The pair, who are only 11 and 14 years old respectively, posted a video of themselves dancing along to the track in an office. At one point during the choreographed routine, the two even literally walk over the office's male employees. "Dayyyum," as Beyoncé might say. YouTube stars Hatala and Thompson have also pulled off insane dance routines to Nicki Minaj's 'Feelin' Myself' and Big Sean's 'IDFWU'.